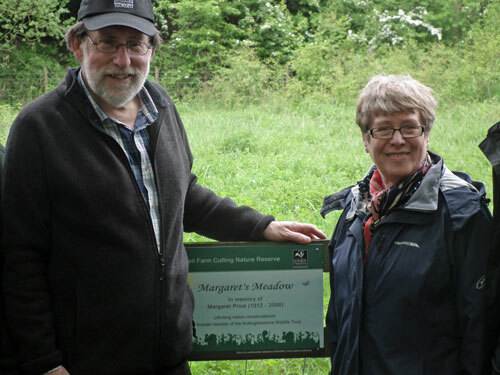 On the morning of Saturday 10th May 2014, over twenty of Margaret Price’s friends met at Nottinghamshire Wildlife Trust’s Wilwell Cutting Nature Reserve to commemorate her lifelong commitment to Nottinghamshire’s wildlife and to mark the naming of Margaret’s Meadow in her honour. Margaret died in March 2008 at the age of ninety-five. She devoted much of her long life to nature and wildlife conservation: from before she was 40, when she became a founding trustee of the Nottinghamshire Trust for Nature Conservation (later renamed Nottinghamshire Wildlife Trust) till just weeks before she died, Margaret was involved in the work of the Trust – especially that of the South Notts Local Group. The event was attended by 21 friends of Margaret, Local Group members, trustees and staff from NWT, including former Chairs of NWT John McMeeking and Graham Leigh-Browne, and John Everitt, NWT’s Chief Executive. A further eight people sent messages of support as they were unable to attend on the day. Valerie Holt, the Chair of NWT, reminded attendees of the remarkable life that Margaret enjoyed; her contribution to the Trust as a founding member (she signed the original Article of Association); as a Trustee for 20 years; and as a long serving and dedicated member of South Notts Local Group. 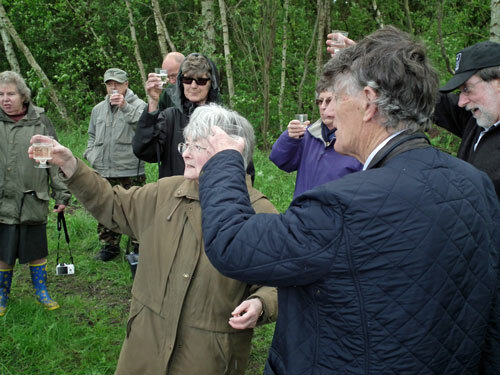 Valerie also mentioned Margaret’s work for the Treswell Wood Common Bird Census – the longest running such project in the country – and her recognition by NWT with the Treswell Award and by Rushcliffe Borough Council with the Mayor’s Special Award for Contributions to the Borough. 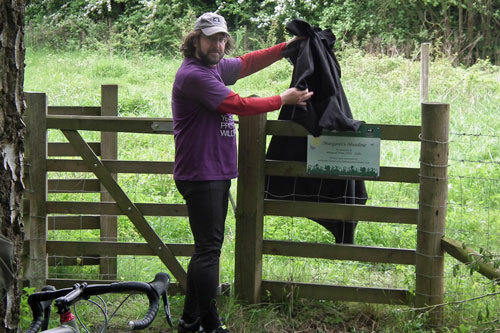 Afterwards NWT Marketing Manager, Erin McDaid rounded off his cycling tour of all the Nottinghamshire Wildlife Trust’s reserves in celebration of the Trust’s 50th anniversary by unveiling the plaque that will remind visitors of Margaret as a “lifelong conservationist”. 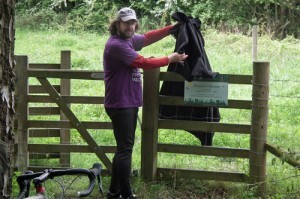 The plaque is installed by the kissing gate on Wilwell’s lower meadow, near the Cowslip Glade which was one of Margaret’s favourite places and where her ashes were buried – and in her honour the first southern marsh orchids were coming into flower on the path to the glade. Margaret’s friends raise their glasses to toast her memory.